Ultraconserved regions (UCRs) represent a relatively new class of non-coding genomic sequences highly conserved between human, rat and mouse genomes. 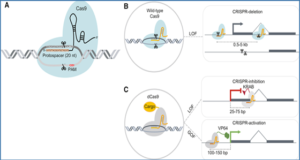 These regions can reside within exons of protein-coding genes, despite the vast majority of them localizes within introns or intergenic regions. Several studies have undoubtedly demonstrated that most of these regions are actively transcribed in normal cells/tissues, where they contribute to regulate many cellular processes. 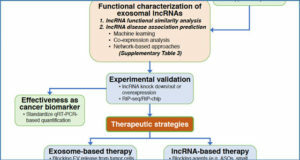 Interestingly, these non-coding RNAs exhibit aberrant expression levels in human cancer cells and their expression profiles have been used as prognostic factors in human malignancies, as well as to unambiguously distinguish among distinct cancer types. 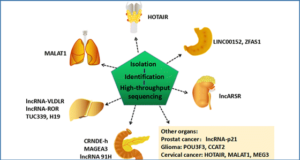 Here, researchers from the University of Naples describe their identification and provide some updated information about their genomic localization and classification. 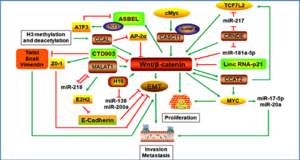 More importantly, they discuss the available literature describing an overview of the mechanisms through which some transcribed UCRs (T-UCR) contribute to cancer progression or to the metastatic spread. 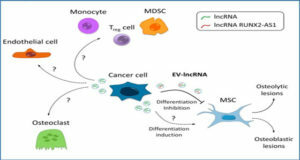 To date, the interplay between T-UCRs and microRNAs is the most convincing evidence linking T-UCRs and tumorigenesis. 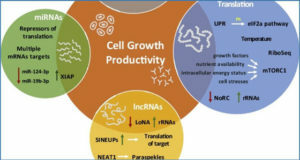 The limitations of these studies and the future challenges to be addressed in order to understand the biological role of T-UCRs are also discussed herein. UCRs genomic coordinates were first mapped on the latest release of the human genome (hg38) and then intersected with human transcriptome (GENCODE v26 release) using BedTools. Data were plotted along chromosomal ideograms using IdeoViz package in R language. 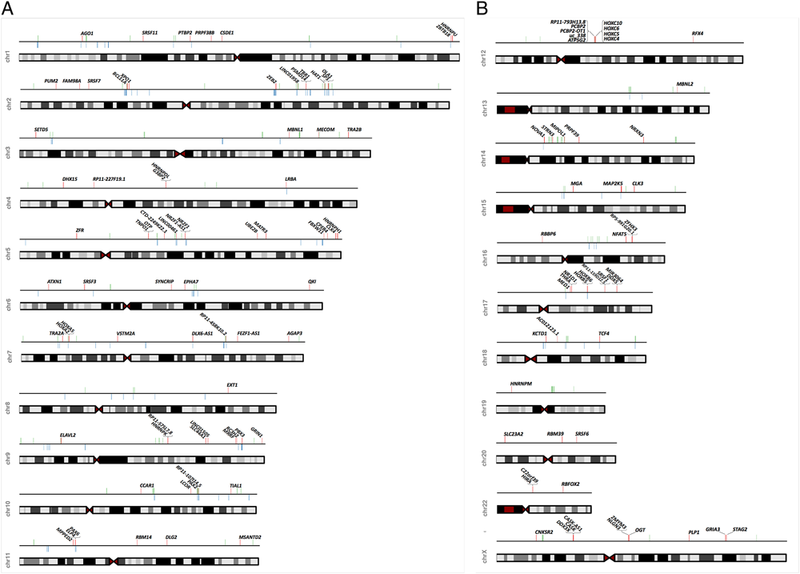 Exon-overlapping UCRs are reported as red marks extending above the chromosome with the corresponding official gene symbol; intronic elements are reported as blue marks below the chromosome; intergenic UCRs as green marks above the chromosomes.